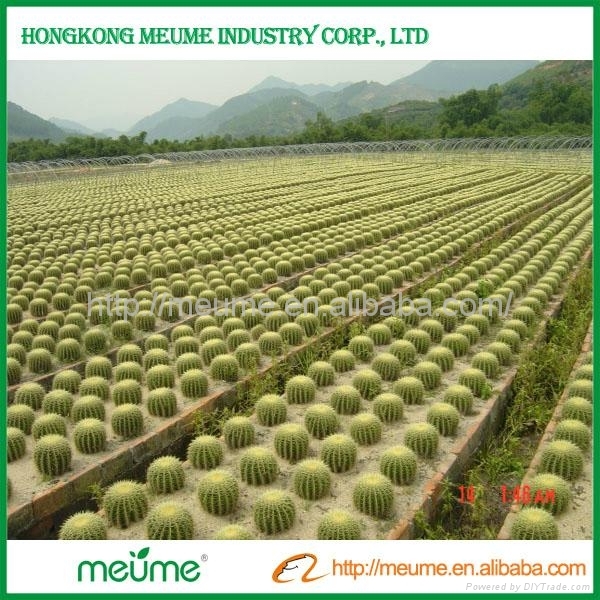 Cactus, the common name for a family of desert plants. The plural is cacti or cactuses. Most species bear sharp, needlelike spines, which protect the plants from foraging desert animals. 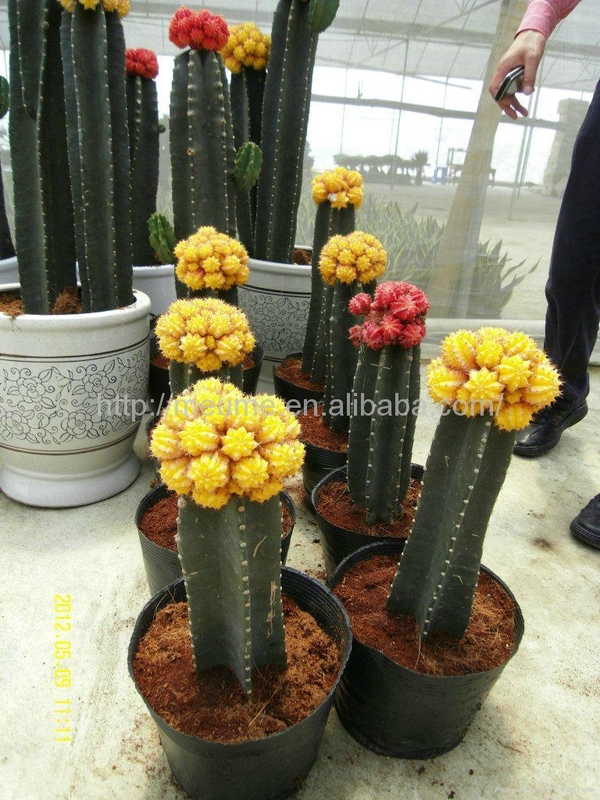 Cacti are famed for their ability to resist drought, which they owe to the fact that moisture from inside the plant evaporates very slowly through the plant's skin. 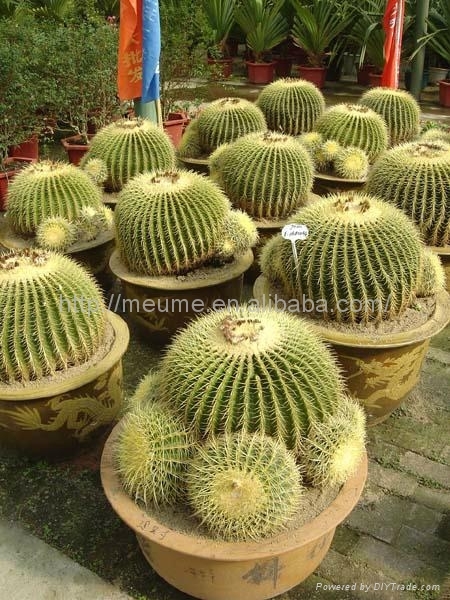 Cacti grow in hundreds of different shapes. The fibrous, juicy stems may be globular, cylindrical, branched, trailing and vinelike, ribbed, grooved, or knob-bearing. Only two species have true leaves. The rest of the 2,000 species are leafless.